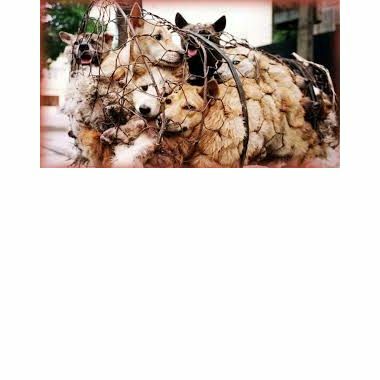 Published in June 2015 the investigation uncovered no evidence of large-scale dog breeding in China. This supported the many claims that the majority of "meat dogs" were in fact stolen companion dogs and strays. Where dog farms were discovered they were found to be farming dogs on a small scale breeding with less than a 100 dogs on site. Obviously these farms could not be supplying anywhere near the amount of dogs consumed in China. Reports of up to 10 millions dogs are slaughtered each year for meat in China. Animals Asia's Professor Paws is an innovative programme where registered therapy dogs go into Chinese Schools "to teach children how to overcome their fear of dogs, learn safety around dogs, responsible pet care and compassion for all animals." This may seem a little tame for people in the UK that have access to dogs as pets as part of their daily lives but many children have never had the opportunity to touch a dog before embarking on this programme. The basic programme consists of 4 structured one-hour lessons over 4 weeks with the children graduating as 'Pet Cadets'. Many of these children can be literally terrified of touching a dog because they have no experience of them or their parents have instilled a fear in them telling them not to touch the dogs as they are dirty and dangerous. By the end of the second lesson most of them are willing to walk, brush and feed the dogs. This in itself is empowering for the children and often gives them more confidence as they are having such fun with the dogs. Close interaction with the dogs encourages the development of compassion for animals. I can truly say it is a wonderful experience as the Group who completed the Great Wall of China Trek found when they were invited to be students in the classroom for an hour. Here is our Professor Paws for the lesson! !